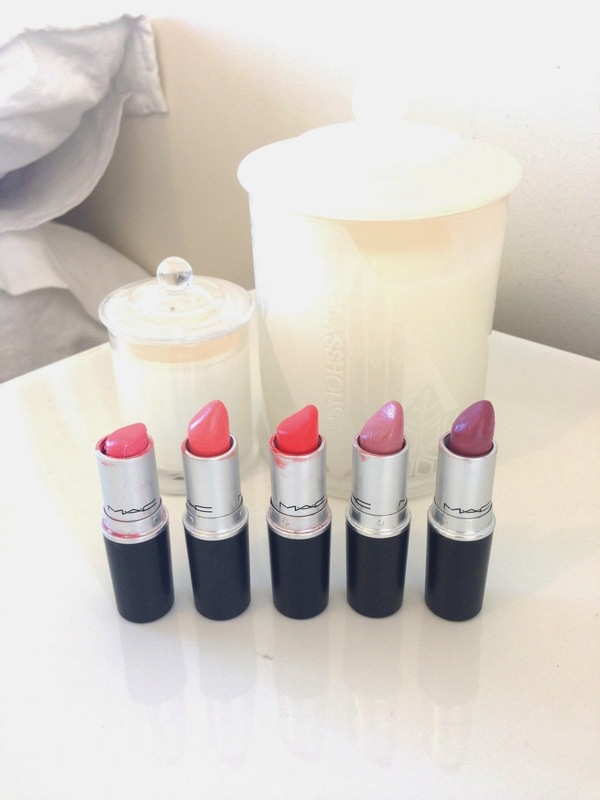 The last post in my Edit series for MAC lipsticks has to be my Top 5! And I can tell you it was extremely hard to narrow it down. I had to think what ones could I not live without? Would I replace it immediately if i lost it? How often do I use it? and eventually I got down to my Top 5. If I'm being honest they are all my favourites and there are someones that just missed the cut that I still love and use a lot like Snob, and Flamingo. A mid tone peach pink shade. A amazing coral shade. A creamy light orange colour perfect when I'm feeling like wearing something a little brighter on the lip during the day time. A bright orange perfect for night out. I constantly find myself wearing this in the summer time. This summer I have really being getting in to my oranges I love them and think the complement blonde hair quite nicely. My everyday pink lipstick. It is a lovely creamy light pink shade. I wear this all year round. A lovely easy to wear move colour that I find myself wearing most day especially in the Winter. What shades do you guys love?